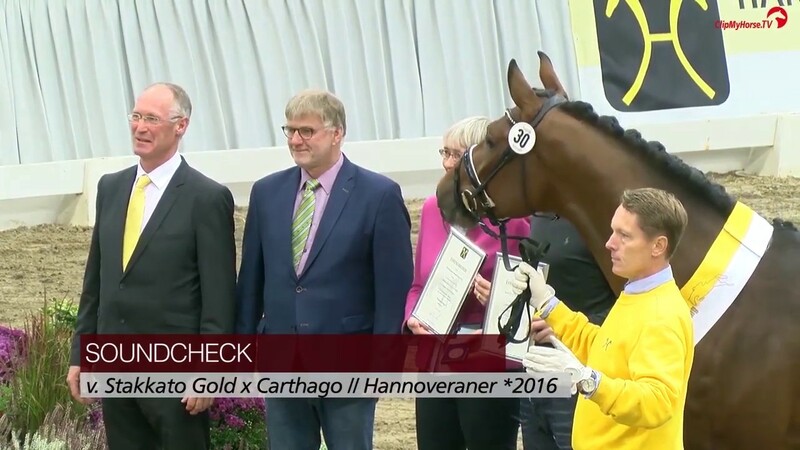 Soundcheck was awarded a premium stallion at the Hanoverian Stallion Licensing 2018 in Verden. He impresses with his appearance, his elastic movements and his scope as well as his outstanding manner at the jump. He always presents himself with a very good working attitude and manages every task easily. Gerd was able to buy the handsome youngster at the auction in Verden: "I wanted to buy a horse like 'Lordanos'. It is such a great horse, out of a fantastic dam that was a schoolmaster and won international classes." The breeding director of the Hanoverian Verband, Dr. Werner Schade, was also enthusiastic about this young stallion. He praised his perfect manner, his excellent technique as well as his attitude. Soundcheck's sire Stakkato Gold was the best jumper of his licensing and received several times the highest score of 10.0 during his 30-days-test. He collected numerous victories and placings in youngster classes and qualified for the Bundeschampionat. Under the saddle of Jan Sprehe, he was highly successful in jumping competitions up to S*** level. In 2015 Stakkato Gold was "Hanoverian Stallion of the Year" and led the FN breeding value statistics for several years. Numerous S-successful show jumpers such as KS Stakki with Reed Kessler, Zanzibar 89 with Henrik von Eckermann and Salto de Fee with Hilmar Meyer have Stakkato Gold as sire. 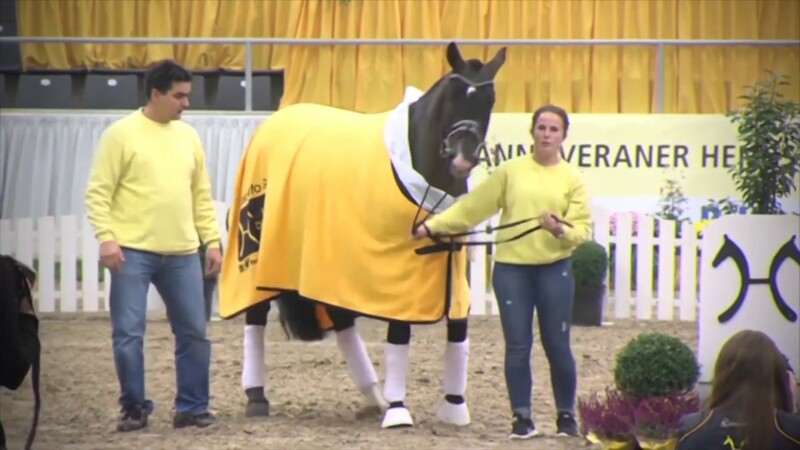 This year his son Solid Gold Z was World Champion of the seven-year old jumping horses in Lanaken. Dam Cigalle-Z was the schoolmaster of Josef-Jonas Sprehe. Together they were internationally successful up to the advanced level. Dam's sire Carthago Z took part in two Olympic Games with Jos Lansink and won classes at the most important show grounds of the world. For example, he won the Nations Cup of Aachen, Rotterdam and La Baule as well as numerous Grand Prix. Carthago Z is regarded as one of the most important stallions ever. He founded an outstanding dynasty. For many years he was the best Holsteiner stallion and at the same time the best German stallion in the world ranking list of jumping sires. The colt comes from the highly successful Holsteiner dam line 018B1. Numerous S-successful show jumpers belong to this dam line, for example Cascara RN by Cancara, Dakota Du Houlbec by Diarado, Alhaya by Chico's Boy, Advantage by Cristo, Cassiana by Cassini I, Loreley by Curator, Clooney by Clarimo, Quintilas by Quick Nick, Calvia by Couleur-Rubin, Caracas by Cassini I, Mustax Catoki's Cannon by Catoki, Liconto del Pierre by Limbus, Cara Mia by Colman, Clapton by Caretino, Hof Schretstakens Odette by Chambertin and Polycor by Polydor. Soundcheck at the stallion show on 09/02/2019. 2019 will be his first breeding season.